In the month of February 2016 Staat van Beleg could list 531 human rights violations (and 140 reports/analyses). Last month we could clearly see an increase in the number of home demolitions. In February this trend developed further so we will provide you with some facts and numbers. According to the UN 400 Palestinians in the occupied West Bank have been displaced due to Israeli demolitions during the first six weeks of this year. The number of Palestinians displaced in 2016 is already equivalent to over half of the total number displaced in all of 2015. Most of the demolitions in the West Bank take place on the spurious legal grounds that Palestinians do not possess building permits, but, in Area C, official Israeli figures indicate only 1.5 percent of Palestinian permit applications are approved in any case. 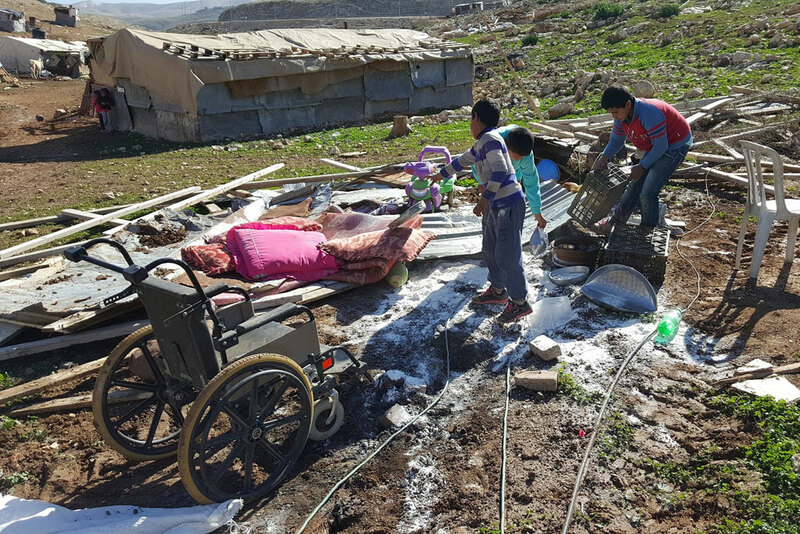 The UN documented 283 homes and other structures destroyed, dismantled, or confiscated between Jan. 1 and Feb. 15, many of which were located in the Jordan Valley. The measures displaced 404 Palestinians, including 219 children. Another 1,150 Palestinians were also affected after losing structures related to their source of income, according to the UN. The number of Israeli settlements illegally built in the West Bank has reached 128 settlements over the past year, a new Israeli report released by former MK Ya’acov Katz revealed. In his annual report, Katz said that 406,302 Israeli settlers live in 11 settlement blocs in the West Bank. The report did not include the 17 Israeli settlements established on Palestinian-owned land in occupied Jerusalem housed by 350,000 settlers. By 2036, Israeli settlers’ number will dramatically increase to reach about 1,020,000 settlers in the West Bank. ‘Peace Now’ states that in 2015 Israeli authorities have began with the construction of 1800 new settlement units in illegal Israeli West Bank outposts. We can also see an increase in the demolition of homes and confiscating of tents funded by the European Union. According to a report from Yedioth Athronoth since the start of the current year 14 structures were demolished funded by the European Union. 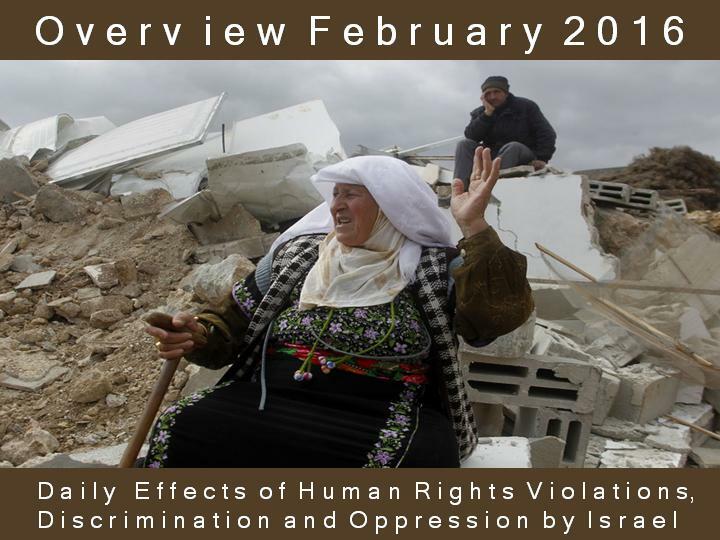 According to Palestinian statistics Israel had demolished last year 645 houses and structures, which displaced and affected the lives of 2,180 individuals, including 1,108 children. 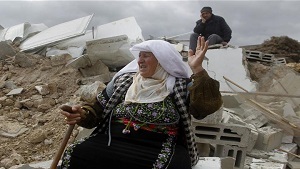 According to an analysis of the Israeli Committee Against House Demolitions (ICAHD) since 1967 Israel has demolished more than 28,000 Palestinian homes, business, livestock facilities and other structures vital to Palestinian life and livelihood in the Occupied Palestinian Territory. The motivation for demolishing these homes is purely political, and racially informed: to either drive the Palestinians out of the country altogether (the “quiet transfer”) or to confine the four million residents of the West Bank, East Jerusalem and Gaza to small, crowded, impoverished and disconnected enclaves.